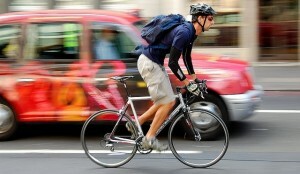 The recent rise in cyclers all over England has been an extremely positive trend overall. Not only is it good for the environment, but people are getting active and in shape, and there are fewer cars and less traffic on the road as a result. But even so, an increase in bicycle traffic on our roads and trails means an increase in cycling accidents. And even more worrying, it appears that this rise in cycling accidents is increasing at a rate faster than the number of new cyclers. But what should you do if you are unfortunate enough to be involved in some form of cycling accident? People still need to use the road and you do not want to block traffic or increase your risk of further injury or accident by staying on the road. Get off the road as quickly as possible and deal with the follow-up at some other location. First, check yourself for injury. Then, check anyone else involved in the accident for injury. If there is any chance at all that you think you or anyone else may need medical attention then do not hesitate, do not wait even one moment. Pick up a phone and call an ambulance or other emergency medical support service immediately. Did anyone else see what happened besides those involved? If so, get their contact information right away as they may be useful when needing to confirm events for police, court, or insurance reports. You’ll need this later, so get their phone number, driver’s license info, etc. You should have him or her phone you right away as well, so that you can confirm their contact number. You have a cell phone. It has a camera. This is why I love them. When you are in any kind of accident, you should snap pictures of the scene for police and insurance claims so that they can see the damage that has taken place and make accurate assessments of the costs and what is covered. Maybe you didn’t need any sort of emergency medical attention, but it might be possible that some other minor form of injury has occurred that will still need treatment. The responsible thing to do is get yourself to a doctor just to be checked out. You don’t want a minor injury that could have been treated easily to turn into something possibly worse from lack of attention. There are a lot of positives about the rise in cyclists around the UK, but one major concern has been the recent rise in injuries and accidents as the result of riding. It is important that any rider know how to responsibly navigate an accident if they should ever be involved in one themselves. It might also be prudent to invest in some sort of bike insurance such as that offered by ProtectYourBubble.com. Laura Ginn is a professional writer and blogger. She enjoys sharing her knowledge of cycling safety with her readers because she believes a little bit of knowledge is a powerful thing that can save lives.